Mantis Radio begins. A three hours blast. 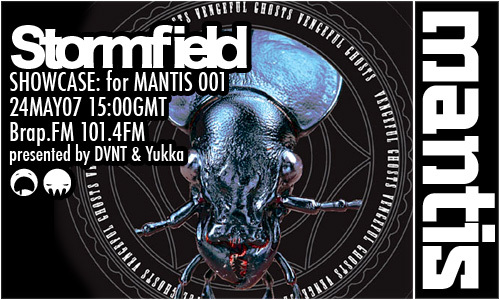 Our first guest session comes from Combat Recordings boss Stormfield. All of these influences have left a permanent impression on his approach towards music ever since, partly leading to the creation of Combat Recordings with ScanOne in 2004 to further the sound. Stormfield runs the label, while regularly smashing up various soundsystems at nights in England and abroad, including Alt Ctrl, III, Delta 9, Electroactivity, Ecosystem, Plexiphonic (Belgium), Illuminate, Digital Penetration (Czech Republic), and as far afield as the Pick your Perversion party in (Miami 2003). 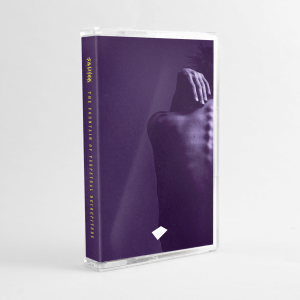 His music style could be described at the result of dark, fierce and strange noises that get absorbed, chopped up, mutilated and spat back out again in danceable form, what he loosely calls “fierce bassbin electronics”. Shouts to all the people locked on. It was an international show with listeners in Canada and Australia as well as Lincoln, Brighton, London and Falmouth. You know who you all are. Big ups.